It is hard for us to imagine what could happen to our nation if Donald Trump slips into the presidency and a corrupt league of Republican legislators ride on Trump’s coattails back for new terms. If it happens we can be assured that the stalemate in Washington will be over. And we can be assured that anything Trump asks for will probably be handed to him without debate. But will Trump act in the best interests of the people . . . or follow the route he has always taken in his business practices? If the latter is the case, we can expect the things we currently hate about the way our government is working to get much worse. Mr. Trump is totally untested in public office. With four business bankruptcies in his past, he appears unable to manage a business, let alone the most powerful nation in the world. He has never served in the military, yet he would be commander-in-chief of the most powerful military force the world has ever known. 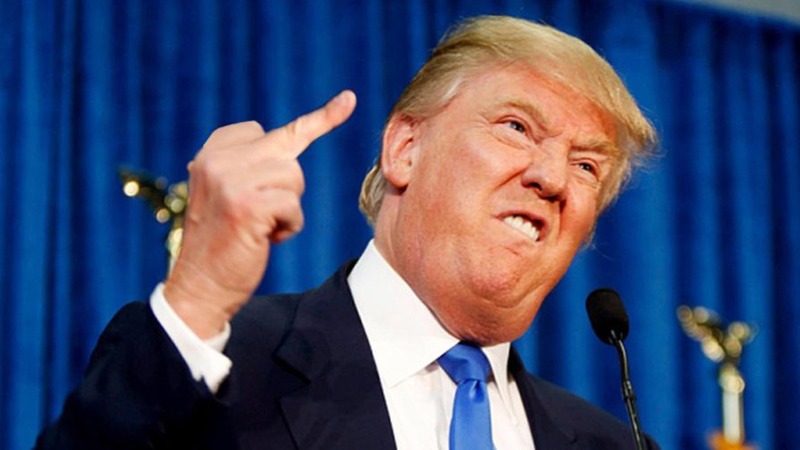 With the power of the nation at his fingertips Mr. Trump will be in a position to become the world’s greatest bully. He will have the power of the Pentagon under his thumb. He will have his finger on a deadly arsenal of nuclear weaponry. He will have the power to send U.S. troops into warfare against any nation in the world . . . including against us. That’s right; the president’s Pentagon Directive No. 3025.18 in 2010 titled “Defense Support of Civil Authorities” gives the president the authority to turn our own troops against us on American soil. This directive violates the Posse Comitatus Act and our Constitutional rights, but it exists. With Trump's obvious loathing of people of other races and nationalities, we can expect him to generate negative relationship on the world stage. And if he is unable to perform diplomatically, his only recourse in many of the obstacles he will face will probably be war. If you fear the looming storms and food shortages because of intense weather changes don’t expect Mr. Trump’s government to do anything about it. He scoffs at the threat of “weather change,” calling it all a hoax. Don’t expect him to do anything to curb the flow of carbon fuels into demand for energy because this is where the big money interests lie. And remember that Donald Trump is all about money. So don’t expect Mr. Trump to do anything to increase taxes on those who possess all the money. The tax burden will remain on the middle and lower classes. And in the same light, don’t expect any financial relief for the slave workers that sweat over meeting the demands of the rich task masters. If Trump gets his way, the minimum wage will stay fixed where it is, or maybe be done away with altogether. We probably shouldn’t expect any improvements to the nation’s crumbling infrastructure during a Trump presidency either. As long as he doesn’t have to descend from his ivory tower and ride in limousines over our crumbling roads or worry about brownouts because of overloaded electrical systems, or concern himself with radiated foods or toxic drinking water, fixing the infrastructure will be the last thing on his mind. The executive staff goes out of its way to see that none of these kinds of problems affect the workings of government or the president and his family. There exists a number of aging Supreme Court members, some of them suffering from poor health, who are waiting for the right political time to retire. The sudden loss of Justice Antonin Scalia and the unwillingness of the Republican legislators to approve Mr. Obama’s pick of a replacement has made it impossible for any of the justices to leave their posts until things get straightened out in Washington. Some say the next president will be choosing as many as four new judges to sit on that court in the next four years. If Trump gets to choose the court, which has already been split 5-4 over so many serious issues, it will be laced with judges that can send this nation back into the dark ages. For example we can expect a ruling to overturn Roe vs. Wade, against worker’s rights to organize and against any possibility of overturning the terrible Citizens United decision that created this mess in the first place. Seniors struggling to live with fixed monthly Social Security checks, rising Medicare premiums and big hikes in the cost of food, rent and medical care, will not expect any relief from Trump’s gang either. If he gets his way, Trump warns that he might do away with Social Security and the Obama healthcare program altogether. He says he has a “better plan” but has never disclosed what it might be. So why do we warn that Mr. Trump might win this election? It is because Trump, in collaboration with the gang at the vile Fox News network, has managed to build a strong power base by instilling fear in the hearts of a large segment of relatively illiterate Americans. If he can get these people to give up their Sunday football games and put down their beer cans long enough to vote, they might generate a large enough base to put him in office. The reason we say this is because the Democrats have chosen Hillary Clinton to be their candidate to run against Trump. Because of all the negative media coverage that the Republicans have carefully drummed up against Senator Clinton, there is a general sense of distrust when it comes to voting for her. Even if some of the allegations against Senator Clinton are true, she still appears more qualified to fill the office of the presidency than Donald Trump. She has proven that she is smart and as First Lady and Secretary of State, she has shown that she understands and can handle foreign affairs with executive skill. That Bernie Sanders generated a great following and almost snatched the Democratic nomination from under Hillary’s nose has managed to split the Democratic Party right down the middle. After packing the Democratic National Convention and trying to upset the vote for Clinton, many disillusioned Sanders supporters are now organizing to leave the party and cast their votes for Green Party candidate Jill Stein. Stein could be a viable and highly acceptable candidate in the eyes of the Sanders people. Her pro-environment and pro-people platform is almost identical to the image Sanders portrayed in his campaign. The problem with going into the Green Party is that Stein doesn’t have a full slate of legislative candidates in positions of following her into office. Thus under a Stein presidency, if that happened, we might face the threat of another four years of legislative gridlock, with nothing getting done. The other real danger of splitting the party and a large block voting for Stein is that it could give faithful Republican voters enough of an edge to put Mr. Trump in the White House. Michael Moore and other people who have an eye on the mind of the people are warning that if things continue to fall in the way they are falling, Trump is probably going to be elected in November. And if you think you can escape the horrors that Trump might bring into office with him think again. If you move to another country there is a chance he will be bombing your house with the most powerful military in the world at his disposal.